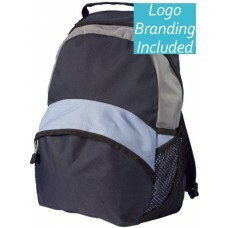 Buy backpacks online with your brand or graphic decorated onto the bag. Utilising the latest decoration methods including screen printing, embroidery or transfer printing, we deliver and personalise backpacks. We offer delivery Australia wide, direct to your door. 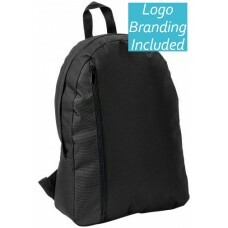 You and your organisation will never be disappointed with personalised backpacks supplied by us. Check out our huge range online today! Cotton Canvas: Has a beautiful classic aesthetic that you will love. These are waterproof resistant to light water splashes, tough and durable. Condura Nylon: Has a modern look and feel that lends itself well to backpacks. The fabric is very resistant to everyday wear and tear. Relatively more waterproof compared to canvas and can resist water splashes. 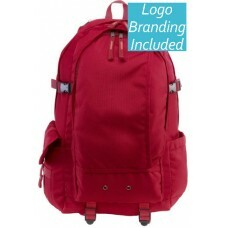 Rip Stop Nylon and Pack Cloth: Is the most popular material used in backpacks. Bags tend to be lower in price and have a beautiful modern look about it. 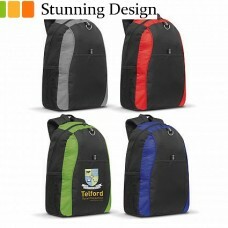 Also enables colours to be vibrantly printed onto backpacks. 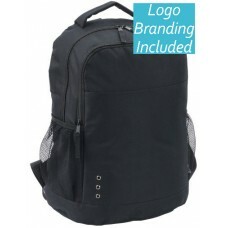 All our backpack stock is stored and ready to be personalised with your logo right in our Melbourne warehouse. This means when you purchase from us, you can be assured of fast delivery Australia wide, direct to your office, event location or even to your home. 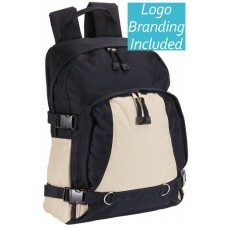 Backpacks come with a whole range of features and pockets to make your everyday life more organised. 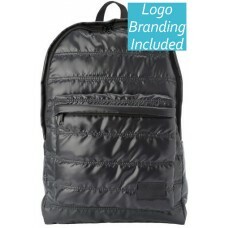 Backpacks have evolved over the years to include pockets for mobile phones, smartphones and tablets too. 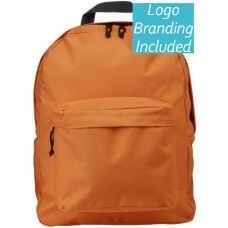 When you are selecting the right bag for your guests, make sure to consider if they need pockets for water bottles, business cards or electronic devices, outlets for earphones or external straps to hold jackets.Select the right functionality and you are on your way to choosing the perfect personalised backpack.